Do you remember when you were younger finding a box of old family photos? Those old crinkled ones where your mum and dad were babies and your grandparents looked so young. Can you remember looking at the fashions and laughing, making you smile and bringing back forgotten memories of the people you love. This is why photos are important and why creating an album of the photos that mean the most to you is something you will never regret doing. In years to come it will be your children and grandchildren looking through them with those same faces of love and adoration. A photograph displayed in your home, a simple print becomes a point of interest, something that is always there and can be viewed every time you wander past it. It’s a permanent reminder of a time that you loved that can’t fade. A printed album becomes part of your family history, an heirloom, something to share and look at whenever the mood takes you. You may only look at it a handful of times, but there is something so special about turning those pages and having those memories flood back. Digital images are for now, your album and printed photos are for life. 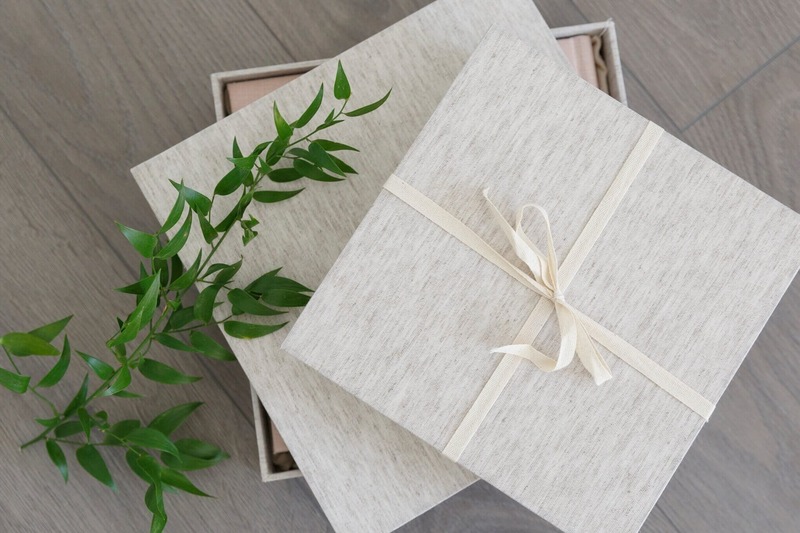 Just think on your Silver Wedding Anniversary opening your unique designed box and lifting out the most exquisite story of your wedding. Preserve the memories You must have looked at your parents’ or even grandparents’ wedding photos? Memories that can be shared and passed on through generations are priceless. How wonderful is it to sit and look at the memories of that special kiss, the hair-styles and fashions that have changed so much, of family when they were small children in cute outfits, and of those loved ones who are sadly no longer around. 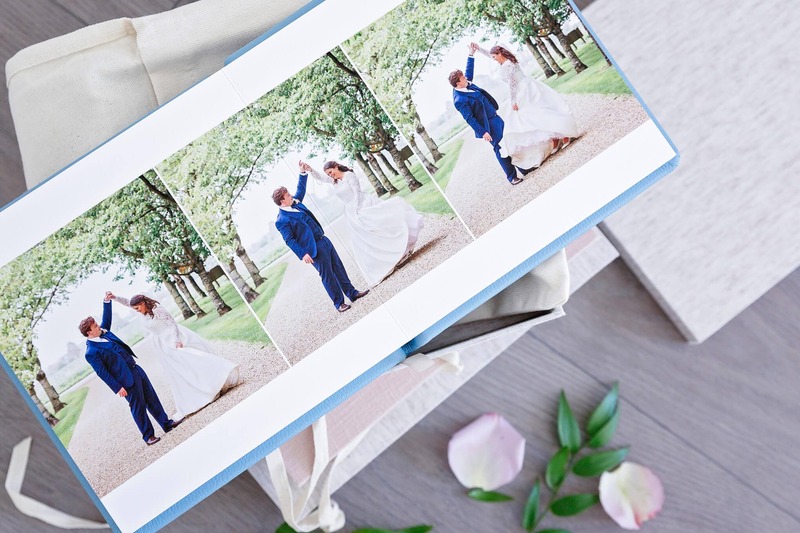 When you plan your wedding, you’re sure that you’ll remember every detail and whilst you won’t forget the heightened emotions of the day, your photographs are the only thing left to treasure of one of the happiest and most fun days of your lives. 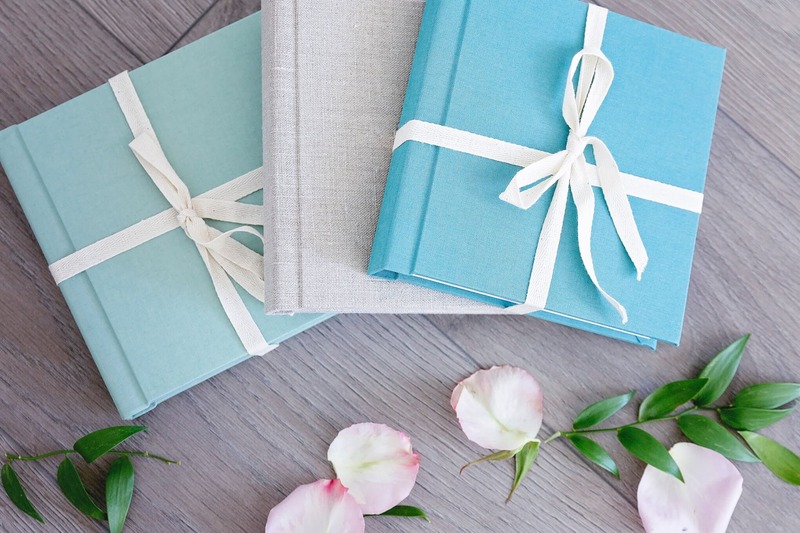 Did you know that the traditional gift for a first wedding anniversary is ‘Paper’? What a wonderful present to each other to celebrate year one as husband and wife? Remember video? Uploading your photos to Facebook is all very well, but it doesn’t stand the test of time. Remember VHS video tapes? What about buying your favourite album on a CD? Quickly your DVD or USB will become outdated, which means you’ll have to transfer the digital copies onto the latest technology, or even worse, your USB may sit in the drawer as your list of priorities becomes ever bigger. Whatever you do, make sure you do something with those digital files. Print them out, frame them and have them as a daily reminder of the important things in life. Share your love story In the days, weeks, months following your wedding, your loved ones will want to see photographs from your big day. 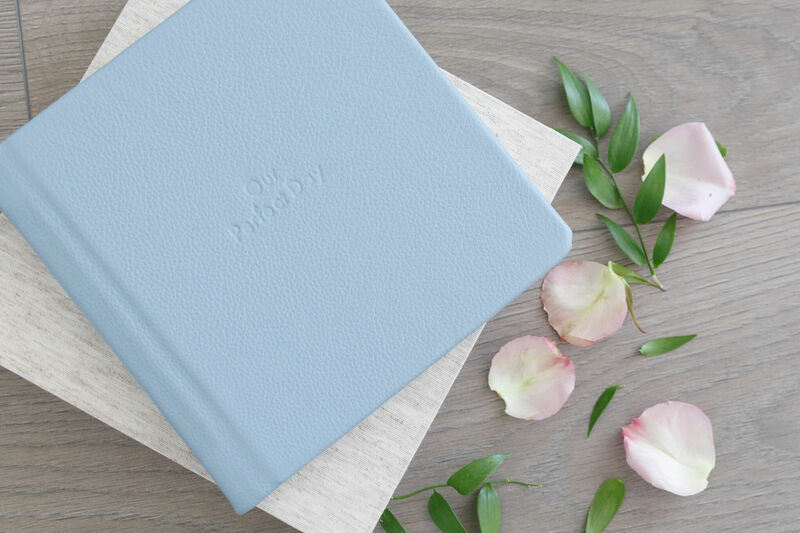 An online slideshow or gallery is brilliant, especially if you have family and friends who live abroad, but having a gorgeous handmade album to flip through with a piece of cake is much more of an occasion. The full story of your special day, carefully designed to make the most of your photos. Choosing photos for your album This might seem like the most daunting thing in the world. Where do you start with your wedding photos? What do you pick for the album? Which ones to put in and which ones to leave out? You have a USB filled with hundreds of amazing images, covering all aspects of your wedding day from the smallest detail to intimate portraits. 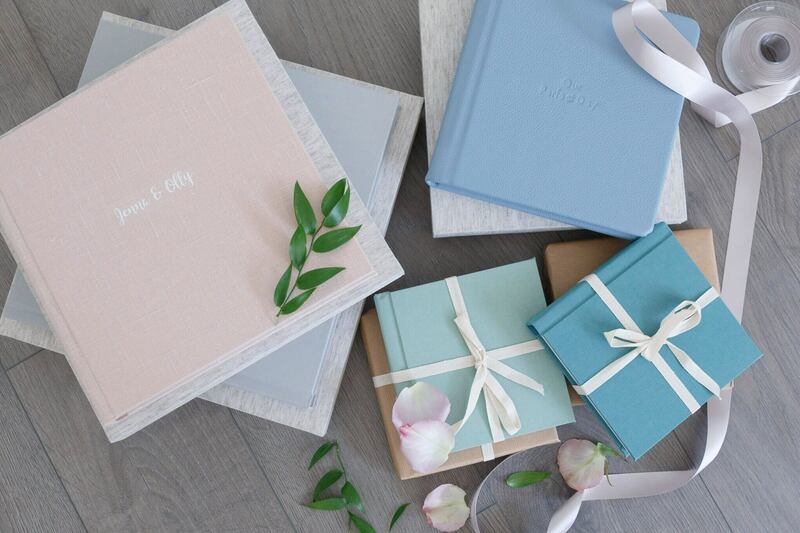 Your wedding album should reflect the day and tell the story of your day from start to finish. You want to have a mix of the natural, candid images, the portraits, the details and the group shots. It’s also important to make sure the album looks right and flows well, a beginning, middle and end, part of this is the balance of image types. Too many or too few of each type of image and the album just won’t work. I love to create some pace by mixing busy montage style layouts with gorgeous stopper pages with just one image. Teamwork! I like to work with you to make sure the album I design and create is just perfect. The starting point is to choose approximately 30-40 must-have images. Your chosen photos should cover the range of the day, some from the getting ready bits, some from the ceremony, some from the reception, speeches and guest and finally a few from the first dance and evening. I like you pick the ones that include people (after all, you know the guests at your wedding much better than I do) and I will then choose some of the detail shots and the venue to add. It’s so important when choosing images that you choose the ones you completely love. Don’t feel you’re obliged to add people or lots of groups if you don’t want them. This is your album and it must be something you want to look at for the rest of your lives. So, take the time out from your day, just the two of you, get a cup of tea and sit down and look through the photos. From putting on the dress, fun with the bridal party, the I do’s, to the toasts, the just married portrait shots, let’s display your beautiful story in a beautiful book. What happens next? Once you have given me your chosen images I get to work designing the layouts that will tell your wedding day story. You will get to view the designs via an online viewing gallery, this allows you to make comments on each page. I include two lots of amendments so if you wish any images to be changed or you want to tweak the design a little that’s fine. After all, it’s your album and you must be completely happy before it goes to be printed and bound. I want you to have a luxurious tactile memory of your day as I believe the quality is second to none and that’s worth an investment. I hope this has given you a bit more of an idea about wedding albums.